My name is pretty neat: Ava Love Hanna. Hanna is my married name. I only recently added that part after my son was born. For most of my life I was Ava Love. It’s a cool name. It stood out. It was unique. Ava is a family name. My grandmother and my great-great-aunt were both named Ava. But, when I was a child, I must have been the only Ava around. I know this because no one ever got my name right. I learned to just answer to anything: Anna, Ana, Eva, Eve. Sure, why not. It was easier to just say mmhmm when someone butchered my name, than to spend five minutes going back and forth and trying to get them to understand that it was just three letters and that two of them were A’s. On the rare occasion that people did get it right, they would ask, “Oh, like Ava Gardner?” and I would shrug my six year old shoulders and say, “I guess so.” I had no idea who this Ava Gardner was and I started to develop an irrational dislike for her because every time someone actually got my name right they asked about her. My once unique name has now surged in popularity. Because of course it did. Because now that I love having a distinctive name, my name is not only popular, but one of the most popular baby names of all time. Ha! Take that Amys 1 – 7! It’s weird. I grew to love being the only Ava. 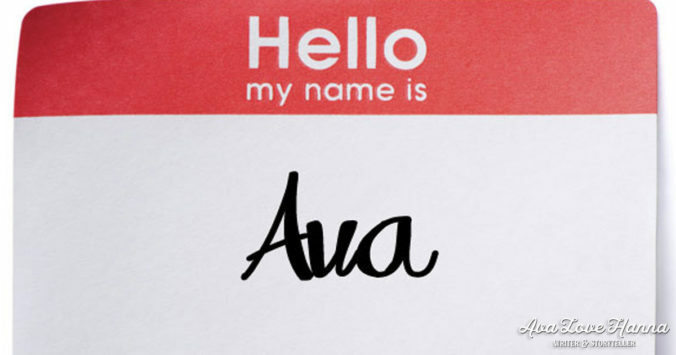 Now, everyone is named Ava and it’s freaking me out… Also, I don’t quite know what the deal is, but it seems like only really grumpy parents are naming their kids Ava, or this new crop of Avas are acting like real jerks. I spent a week at Disneyland recently, and I almost developed a permanent tic from jumping every time someone screamed my name. It was so bad, that at one point my husband wondered why a random suburban mom was screaming at me. When you’ve always been the only Ava, you’re used to responding when you hear your name. I nearly choked on my mickey-shaped pretzel when the lady came up next to me shouting at her errant Ava who happened to be one seat over. So listen Parents of New Avas: you seriously need to chill out. I can’t keep getting freaked out because I’m thinking that you’re yelling at me. Also, stop screaming at your kids. Take a parenting class, count to five, I don’t know, but just stop. And to all you new Avas out there wreaking havoc: come on man, act right. I’ve been holding down the Ava-fort mostly by myself for 40 years. Don’t screw this up for us. Honestly, the fact that my name is so popular now feels weird. I feel a little violated, or something less dramatic, but still like that. I can’t quite describe it, but it feels like something that was really dear to me has been taken away, or at least fundamentally changed. My unique name became an integral part of my identity. At some point in my life, I accepted that it was okay to be different and I owned and embraced that difference. Now, I have to accept that my name – something that feels like a part of me, when it actually isn’t – is not really mine. It’s just a combination of letters and anyone can use them. I’m sure everyone has had to deal with coming across someone with the same name. “Oh you’re named Susan? So am I!” And you both laugh and move on, but I had to get used to being the only Ava in a sea of Amys and now the game has changed and I’m struggling to feel okay with it. I’ll get over it, I have no choice. There is an army of Avas now who are apparently scream-at-your-kids-in-public-worthy and I’d prefer to stay on their good side. So, I guess I’ll just sit here sipping coffee out of my new “Ava” personalized mug, or go put this tiny “Ava” license plate on my bike, and console myself by trying to predict what the next hip baby name will be. Why is My Fetus Trying to Ride a Bike? I’m with you on the rare and unique name. I’ve heard every pronunciation under the sun. I immediately spell it after I say it. To make things worse, Ann is my middle name, so I have to tell people to include it. My mom, upon hearing my name woes, says, “but that is the PROPER BRITISH SPELLING.” She doesn’t understand that that doesn’t really help people here. So, at the doctor’s office I spend 30 minutes just spelling out our names. Yay! My mother named me Jennifer and thought that I this was unique. Well, she was wrong and I blame the lack of internet in the 70’s. I mean she couldn’t Google the popular of the era back then, so I forgive her. Sort of. I also struggle with people shortening or renaming me. I have be re-labeled as JENN, JENNY, JENNI, JENNIFFER. Two F’s?? Really? Thanks for posting this! 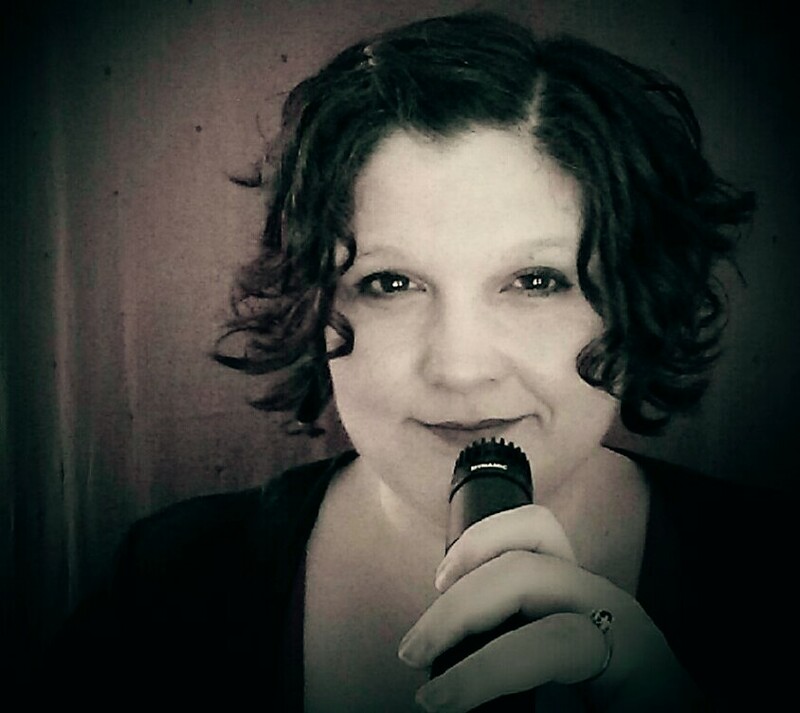 Jennifer recently posted…Why do I Write? Jennifer, I just laughed so hard at the two F’s! I have a somewhat related situation with my last name. It was a very traditional Irish name, easy to spell and pronounce. And then I married a nice Jewish boy with a name that no one gets right (even my best friends) and it drives me insane. I wish I never changed my name to begin with! Amanda, sometimes I feel the same way! Lol.